Re: NORAD -- "A clear case of perjury"
This comes from DNotice.org, in a piece entitled 'The NORAD Papers III,' which follows two other informative reports from them about NORAD that people have submitted to 911bloggger. "Ringing Like Crazy": Were U.S. Military Phones 'War-Dialed' on 9/11? Activists and researchers have long tried to understand how the highly sophisticated U.S. military could have failed so completely to stop the attacks that took place on September 11, 2001. 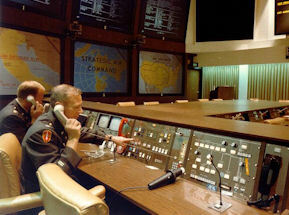 Statements made by several U.S. military personnel who were deeply involved in the crisis response that morning suggest an alarming method that may have been used to sabotage normal defenses. Revealed here for the first time, this is one possible reason that the military was in such a state of paralysis until it was too late to make a difference.